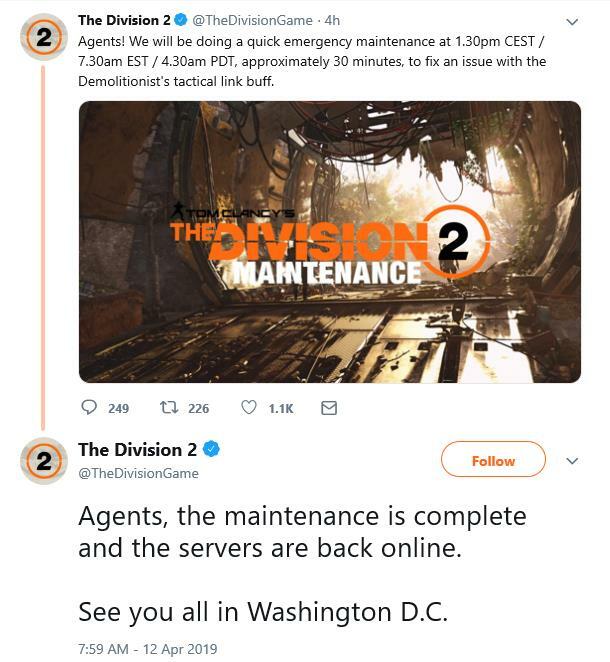 UBISoft tweeted out earlier this morning that The Division 2 was be offline across all platforms due to emergency maintenance. For those of you that were playing prior to that and wondering what the fix was for, the patch notes show that the Demolitionist’s tactical link buff was stacking infinitely. So the group members that had a Demolitionist with that buff were getting an advantage by gaining 5% damage to targets out of cover. So if you thought you were losing some battles you may have won, that may have been the cause.